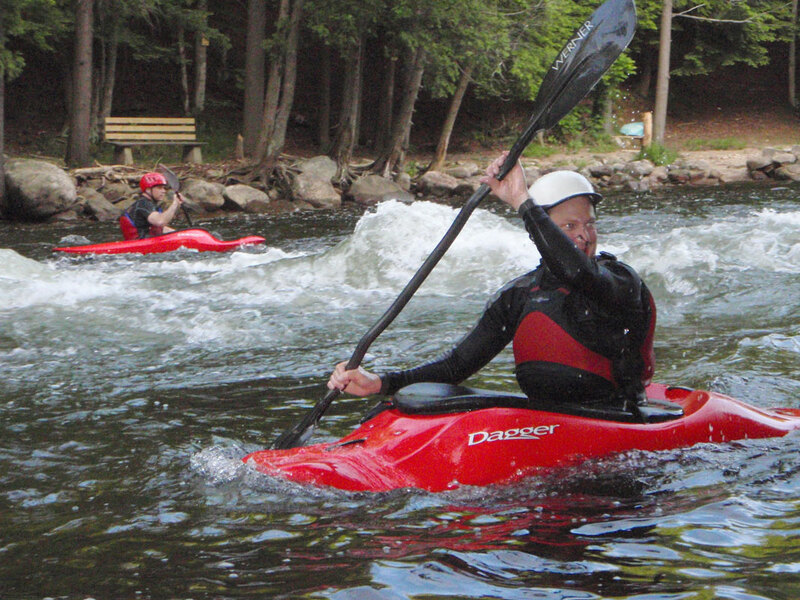 In 2007, Boatwerks, a small chain of specialty kayaking stores in Minden and Haliburton, became partners with Algonquin Outfitters and solidified their slogan as “Canada’s Best Kayak Shops”. Back in the spring of 1997, Kieran and Scott of Wildrock in Peterborough expanded their business with an innovative concept for a world-class whitewater retail operation called “Boatwerks.” Boatwerks comprised a web-based store, traditional store at the Wild Rock Outfitters location, and mobile seasonal stores located on the shores of the Ottawa River, Gull River and Madawaska River. The Boatwerks concept proved a recipe for success and, within three years, Boatwerks was the largest seller of whitewater kayaks in Canada. Not content with the outstanding success of Boatwerks, Kieran and Scott sold the Boatwerks portion of their business to long-time employee Jeff Strano in the fall of 2002. Boatwerks hosts the Boater Board on its website, boatwerks.net. This popular kayaking forum features discussion on whitewater paddling, equipment & gear, places to paddle and is a great place to swap whitewater equipment. AO Boatwerks in Haliburton embraces all the area has to offer with a great selection of outdoor gear including a full range of kayaks, paddleboards, wakeboards, waterskis, and towables. Can’t decide? Test paddle one of our rental or demo boats. In addition, a great selection of surfwear, outdoor clothing, and footwear make this exciting location the perfect stop on your journey to the cottage. Getting ready for winter? Stop by and see our great selection of Nordic skis, snowshoes and warm winter wear. Shop the area’s best selection of outerwear from the best brands then head to nearby Sir Sam’s Ski Area for some winter fun. The only full-service whitewater kayak and canoe shop in the area boasts the latest models of river running and playboating kayaks and canoes along with an extensive range of accessories. A rental and demo fleet is also on hand at the world-class whitewater facility on the nearby Gull River. In addition, AO Boatwerks also carries a full lineup of flatwater canoes and kayaks, wakeboards, waterskis, water toys and surfwear. Everything you need for a day on the river, the lake, or at the cottage can be found at AO Boatwerks. Be sure to visit the Boatwerks website at www.boatwerks.net. Log onto the site and get the current water levels for many popular rivers in the area or join like-minded paddlers on the ‘Boater Board’ forum for current news and chat relevant to the sport. Provides instruction for Kayaking, Canoeing, C1 and more in both whitewater and flatwater disciplines, from beginner to advanced. We run on-request programs and clinics all season long – call to book yours now! With a variety of courses and clinics, the AO Boatwerks Paddling School can get you on the water and having fun! There are no course dates, simply call us and book a date at your convenience.